You can get help from our free counselling service in north east Essex through Health in Mind*. You can call Health in Mind yourself on 0300 330 5455 or ask your GP to refer you. When you are referred, or refer yourself to Health in Mind, the people there will decide what services you may need. 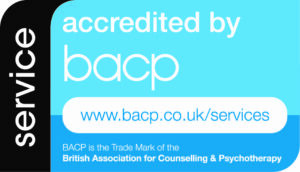 If they think our free counselling service could help you they let us know to contact you to arrange your counselling. Sometimes there can be a long wait for appointments. You will get six free counselling sessions with one of our qualified counsellors. If you want to refer yourself please call Health in Mind on 0300 330 5455. At the moment you need to live in north east Essex to get free counselling help through Health in Mind. * Health in Mind is what a GP may refer you to if they think you can benefit from the support it manages. If you want to understand a little more about Health in Mind, please visit the website.